According to The Hollywood Reporter, Showtime has decided to cancel Jay Pharoah-starring comedy show White Famous after one season. 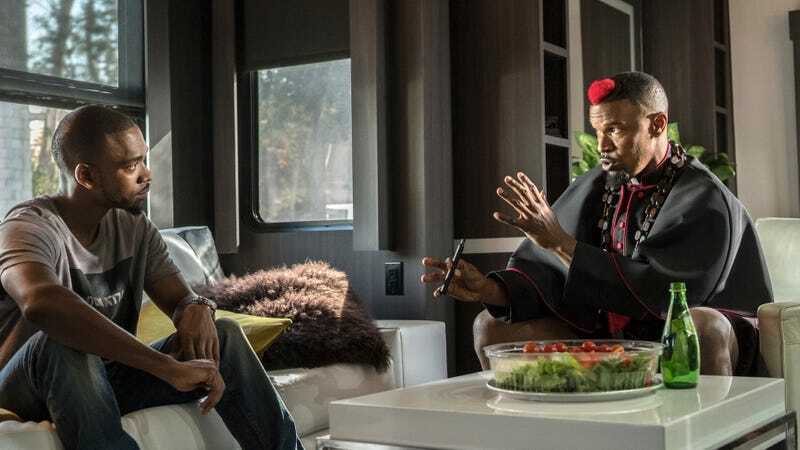 The show came from producer Jamie Foxx, and it was loosely based on his life while also apparently existing in the same universe as Californication. Along with Pharoah, it starred Utkarsh Ambudkar, Meagan Good, Stephen Tobolowsky, and noted Dustin Hoffman fan Michael Rapaport. The show reportedly averaged 1.8 million viewers per week when all of the different viewing options were tallied, which The Hollywood Reporter says is considered “fairly middling” by Showtime’s standards. This news comes shortly after Showtime renewed fellow new comedy SMILF for a second season, with the premium cable network’s silence on White Famous indicating that it wasn’t long for the world.